6 top case interview questions - answered! 6 top case interview questions – answered! Many of you this month are heading into interviews for summer internships – our inbox is testimony! 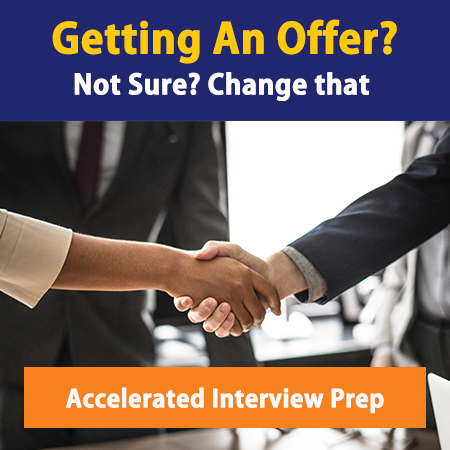 Tons of eager undergrad and MBA consulting candidates have been emailing us with interview questions about interview tips, case prep pointers, and our consulting interview prep services, so we’ll start off by giving you a clear explanation of what we do for consulting interview candidates like you. After that, we’ll dive into questions around consulting interviews in general, case interviews in particular and internships for a dash – like how to handle yourself in a case interview that requires a PowerPoint presentation, walking the line between saying too much and not saying enough when responding to fit questions, what to wear in a first round BCG interview, weighing your options for consulting internships, and our 2 cents on whether it’s possible to obtain a consulting internship as mere sophomore (spoiler: it’s not). For those of you considering an MBA or pursuing a specialized Masters program, we also give you 2 questions to ask that will help you determine which school to choose for your career in management consulting. As always, feel free to add your comments below, or email us with your input and questions! Q: I was wondering what the case preparation involves. Do you teach how to approach cases or do you just give mock interviews? In other words, do we need to have knowledge of how to tackle case interviews before using your services or will you teach the appropriate methods? If I were to purchase the 10-session package, how far ahead of time would I need to book it? Over how long a period would the 10 sessions be conducted? A: It totally depends on which service you choose and what you’re looking for. In a 1-session package, we don’t have time to cover skills and basics. You are primarily testing your abilities with us. With the 4-session or 10-session package, however, you get access to the MC Book Bundle (The Consulting Bible, The Consulting Resume & Cover Letter Bible, and The Consultant’s Networking Bible), the Case Bank, and more time with us, so we have a lot more time to deconstruct your case process. Just last week alone, we had clients receive offers with BCG and McKinsey after working with us for 10 sessions. We recognize that it’s expensive, but it does really improve your chances of success, which pays you back for a lifetime. Q: Part 1. I had an interview where I was requested to prepare a PowerPoint presentation from a selection of analyst reports, but not make the presentation. I created my presentation with insights and then the conclusion and recommendation on the last slide. Is it more appropriate to answer first, i.e. give the recommendations first, then move on to the following slides with the facts/insights? Part 2. In my fit interview I was given feedback that my answers were not succinct enough. Is it best to give a limited response and let them probe if they choose to rather than provide a lot of detail? A: Part 1. You can use both approaches – if you’re not presenting, an answer-first format is best because then the question of what you decided is answered (you guessed it) – first. If you are presenting, answer-first can be unnatural and can lend mental opposition to your approach if what you decided was a different conclusion, but your process was rational – the emphasis in that case is on the process, so it’s better to let the story evolve. There isn’t a right or wrong answer, however – just perhaps a better and best. Part 2. Without having worked with you, I’m not sure exactly what you mean and what their feedback meant, but in general, answers to fit questions should be 30 seconds to 1 minute long, direct, with 1 level of supporting detail (an explanation or a story to support what you’re trying to convey). If you were unstructured or not direct enough, those could be issues – and in general you may have offered TMI. Option 1: A black Calvin Klein suit, with a light blue button down and blue tie. Option 2: A gray suit with the same shirt/tie combo. Option 3: A navy Brooks Brothers blazer with clean slacks (I’m guessing this isn’t my best option, but I might as well ask). I’m also open to buying/wearing something else – my main goal is to look professional. A: Option 2 is definitely the winner – it says power suit, but isn’t too serious. Why not option 1? If you want to dress for a funeral or for investment banking, that would be the way to go, but not in consulting. Leave it off the roster for interviews. (It’s not awful, but not your best option.) And what’s wrong with option 3? It screams “hey retired frat bro” – and that’s probably not what you want to communicate either. Q: I’m currently a college senior from a non-target looking to break into management consulting, and your articles have proved super helpful. I’m just wondering what your opinions are on specialized masters programs that focus on management? For example, there’s Duke’s MMS program and UVA’s MS in Commerce program. Thoughts? The 2 are different – where grads went is often a better measure of where they were successful, not who might have been interested in them. It will also depend on how much of a non-target you went to. I recommend you look at Columbia’s part-time MBA program (if you’re in NYC or could be) or something comparable – an MBA will leapfrog your earning potential and re-brand you immediately. It’s obviously more rare if you’re just graduating, but not a bad way to go. Q: I will have to take a 5th year at school because of my late entrance into the major and engineering’s breadth of required classes. Do you think it best if I try and get a consulting-related internship both this year and next year, or would my upcoming internship in engineering at BP look equally good? I would hate to pass up on the offer at BP just because of how unsure I am regarding my chances to get a strong internship, as well as my worries regarding my future status as a super senior and how that will play a part in my hiring chances. A: It’s worth it to try to get into consulting this year – as long as you give it your best effort. It’s a process with a steep learning curve, and you’ll have a lot to learn. At the same time, the internship with BP would be impressive and would definitely be favorable for your chances in consulting in the future. If you have to make a decision on BP in the short-term, you can request an early interview/resume review with the consulting firms. Since you’ll be doing a 5th year, you have another option. Since consulting firms look for applications in your penultimate year, you can accept BP now and apply to consulting next year. Q: I need an honest assessment of my current situation to see if I should pursue this program either this year or next. I am seeking an internship at a respected management consulting firm (eg. BCG, McKinsey, Towers Watson, Booz, etc.). I am enrolling full time at UT Austin where I will major in Econ. I am a transfer student with a 4.0 GPA. By this summer I should be very close to completing my Sophomore year. I know that most firms only hire individuals who have completed their junior year. I really believe I have the raw skills and natural talent to succeed in this business (although I am about a year’s credit shy of the typical summer intern applicant). Should I apply for this summer or wait to complete my junior year before proceeding? A: You probably have no chance this year as a sophomore. Firms only take students in their penultimate year with no exception I’ve ever heard of. However, you can begin to prepare this year and should focus this summer on building experience that will be attractive to consulting firms.